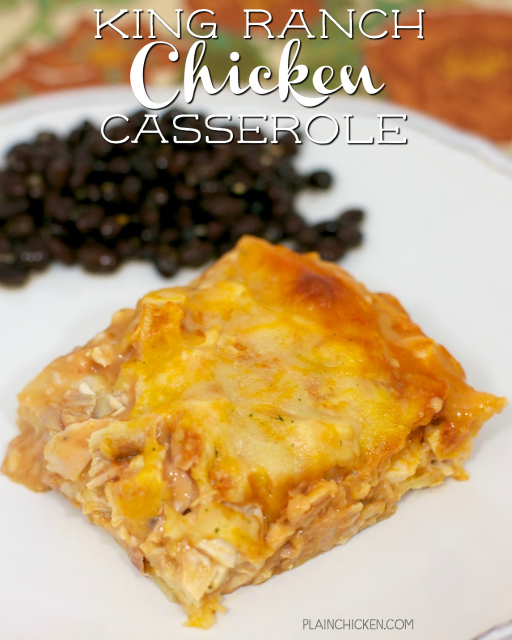 King Ranch Chicken Casserole - MY FAVORITE!! Chicken, cream of chicken, cream of mushroom, salsa. chicken broth, onion, tortillas and cheese. Use a rotisserie chicken for quick assembly. Makes a great freezer meal. Everyone cleaned their plate! Even the picky eaters!!! I love King Ranch Casserole. It has all of my favorite flavors. It is something I look forward to making and having leftovers all week. 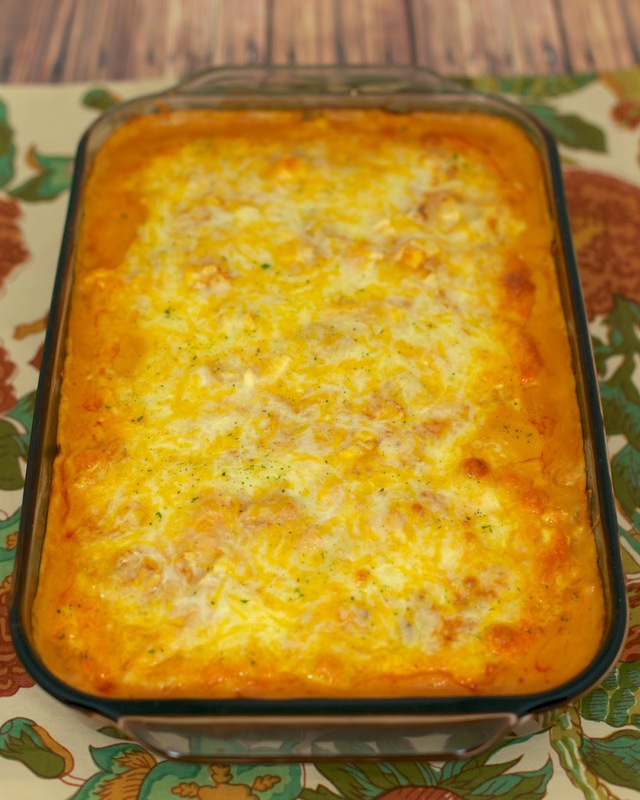 My usual King Ranch Casserole recipe uses Cheez Whiz. It is delicious, but I know a lot of people are scared of Cheez Whiz. This recipe has all the same flavors, but doesn't have any Whiz in it. This is comfort food at its best. This isn't fancy. It is just darn good! 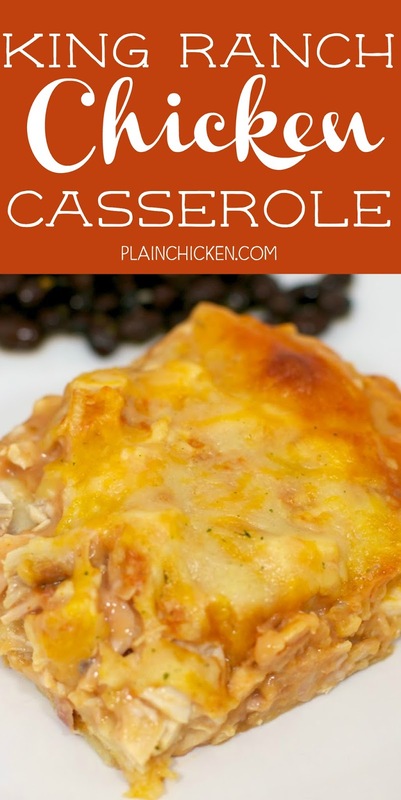 Serve this casserole with some black beans and rice for a perfect Tex-Mex meal! In a large saucepan on medium-high heat, combine the cream of chicken soup, cream of mushroom soup, chicken broth, salsa, garlic salt and onion flakes. Stir until warm, about 5 minutes. Remove from the heat and set aside. Put half of the tortillas in the bottom of the pan, top with half of the chicken, then sprinkle with one cup of cheese. Pour half of the soup mixture over the top, and then repeat the layers. Tortillas, chicken, cheese, and soup mix. 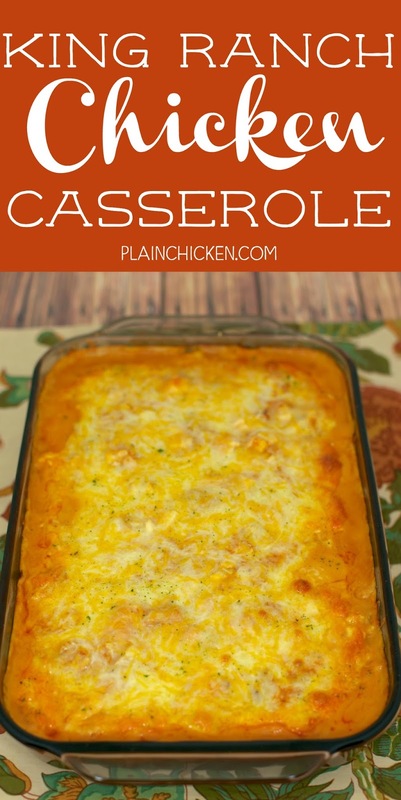 Top the casserole with the remaining cup of cheese. Bake for 45 minutes or until the cheese has melted and browned slightly. I have this on my try list but have yet to get to it. Yours looks delicious. I've not had this in years ... and it's so delicious. I'll have to make it soon, and then I'll eat to much of it ..... :) Pinned. Sheila, I did not cover it. I tried this tonight and my husband loved it!! !in the future, I will cover with tinfoil while back baking, as the top portion got a little hard, but this is all personal preference :) great recipe! !